Problem description: In a Windows 10 OS, when you go to Start > Settings > Accounts > Add someone else to this PC, nothing happens so you cannot add a new user account on the computer. This issue occurs even in clean Windows 10 installations or after a Windows 10 update on both PC or Tablet devices. 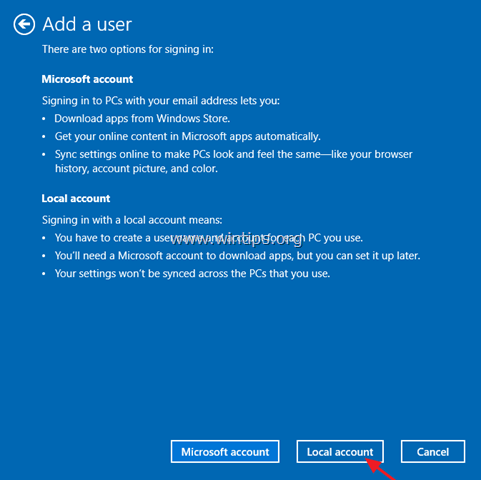 The "unable to add a new account" issue seems to be commonly caused in Windows 10 devices when you use a Microsoft account to log on to the device. 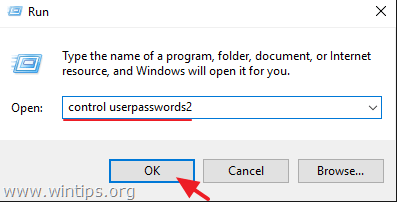 In this tutorial you will find detailed instructions on how to create a new user account by using command prompt or the User Accounts options on Windows 10. 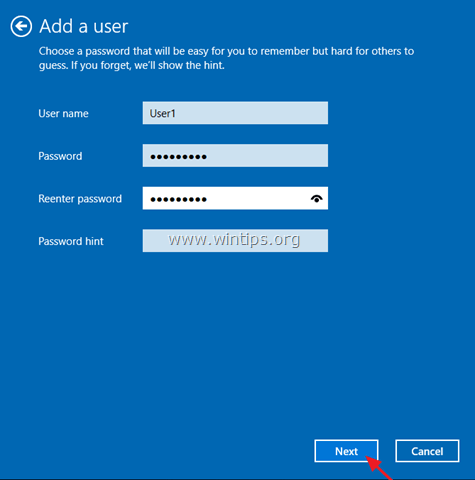 How to FIX: Cannot Add a New User Account in Windows 10 or Windows 8/8.1. Method 1. Create a new account by using the User Accounts options. Method 2. Create a new user by using command prompt. 1. Make sure that you have logged in on your computer with an account that has Admin rights. 3. Click the Add button to create the new user. 4. 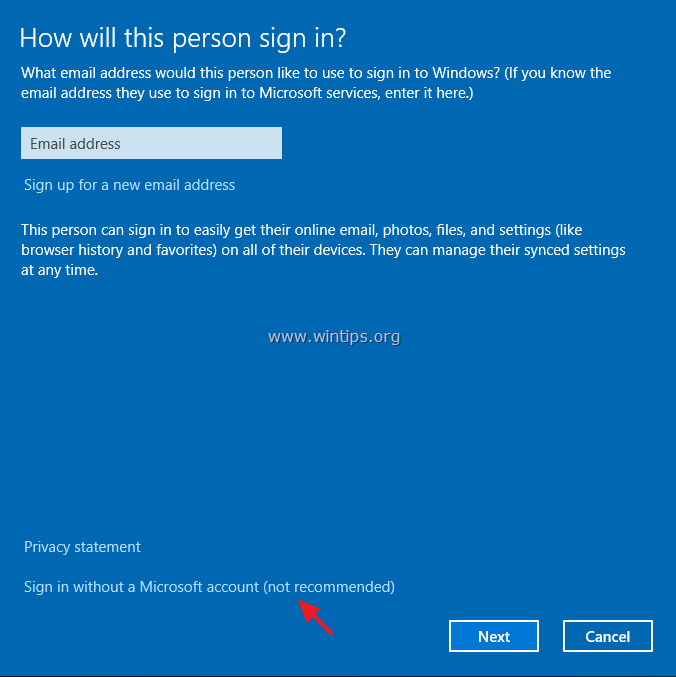 Then choose Sign in without a Microsoft account (not recommended). 6. Type the new user's credentials (Username and password) and press Next. 7. Click Finish at the last screen. 1. Select the new user from the users list and select Properties. 2. Check the Administrator box and click OK. Method 2. How to Create a new user on Windows 10 by using command prompt. 1. 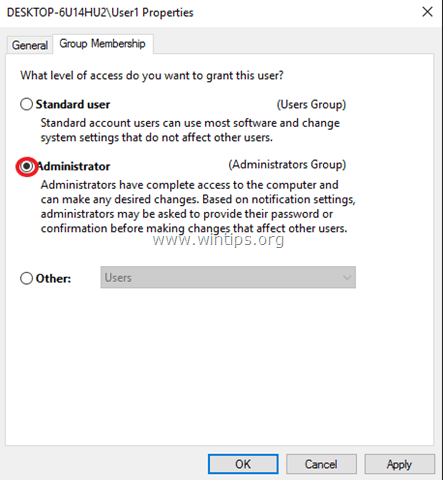 Right click on the Start menu and the select Command Prompt (Admin). 4. Close command prompt Window and restart your computer to login with your new account. You saved the day for me.